Zermatt is a car free mountain resort located in the Swiss canton region of Valais. The city lies at the foot of the famous Matterhorn and can only be reached by train, which is part of the scenic Glacier Express route. This destination offers endless opportunities for outdoor activities as well as peaceful and relaxing experiences. 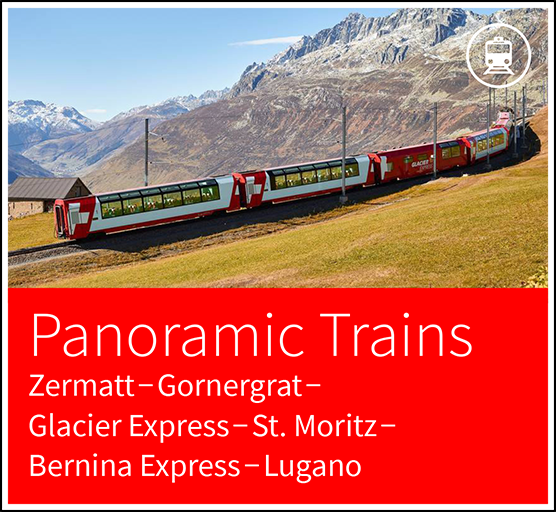 Our Zermatt, Switzerland vacation guide highlights Zermatt’s best activities, attractions and hotels, and gives you a better idea of what the city is about! Despite the village’s status of being a world-class resort, it has never lost its feeling of authenticity. Explore the well-preserved chalets that line the streets with a Zermatt, Switzerland vacation guide in-hand to enjoy the true charm of a typical Swiss mountain village. Enjoy plenty of shopping and fine dining in what remain to be old half-timbered houses. The ability to ski year round transforms Zermatt into a true skier’s paradise. Whether visitors decide to ski or not, they are invited to visit mountain top chalet restaurants with gondolas and cable cars. These ideal après-ski restaurant locations make for an unforgettable meal with spectacular panoramic views. The Matterhorn’s glacier paradise is Europe’s highest lying ski region, making skiing possible year round. This Zermatt, Switzerland vacation guide delves into the numerous activities this Swiss city has to offer in addition to skiing--such as the hiking trails that stretch well over 400 km/250 mi with various levels of difficulty. The varying terrain paths either lead hikers through a simple exploration of Matter Valley or to surrounding peaks including the Matterhorn and Mt. Gornergrat. A cogwheel railway operates between Zermatt and the classic Mt. Gornergrat at 3883 m/12,700 ft in elevation for best views of the Matterhorn. Embark on this once in a lifetime opportunity to witness summits of Swiss, Italian, and French Alps all in one panoramic view. Travel Zermatt with our Zermatt, Switzerland vacation guide, and have a pleasant journey in the south of Switzerland. Zermatt provides the ultimate nature experience with many opportunities to explore its surroundings. The village’s electric transportation system makes the exploring of mountains, glaciers, forests, lakes and wildlife easy for any traveler. The skiing mountains offer ideal snow conditions due to their southern location, which creates wind-protected areas during most of the year. The Zermatt, Switzerland vacation guide is here to help you explore the area and make the most of your trip. Venture into the Swiss Alps with our Zermatt, Switzerland vacation guide to discover new hiking places, restaurants, and excursions outside of the city. The Gornergrat mountain railway departs every 24 minutes from Zermatt, bringing visitors up to a viewing platform at 3,089 m/10,134 ft. Despite the platforms year round access, the summer months allow visitors to enjoy an open-air cogwheel ride. At the summit, enjoy the view of Monte Rosa, the Matterhorn, and glacial Lake Riffel. Various hikes are possible including hiking all the way down to Zermatt. A self-service restaurant offers visitors to enjoy their lunch aside a spectacular panoramic view. The Rothorn is elevated at 3,103 m/10,180 ft and provides a terrific view of the Matterhorn as one of the highest peaks in the Valais Alps. Reaching the Rothorn from Zermatt begins with taking a cable car to Sunnega, which translates to Sunny Corner. A gondola with a capacity of four people then takes you from Sunnega to Blauherd at 2,588 m/8,490 ft. From there a panoramic cable car brings passengers to the Rothorn’s peak and its mountain restaurant at an elevation of 3,103 m/10,180 ft. When you’re out and about Zermatt, you’ll want to keep this Zermatt, Switzerland vacation guide close by to help lead you through our Valais Alps or when making a day trip to a nearby city for the day. Make the most of your vacation to Zermatt, and explore other incredible Swiss cities nearby during your trip. Here is a brief Zermatt, Switzerland vacation guide tip to get you started on you venture throughout Switzerland. 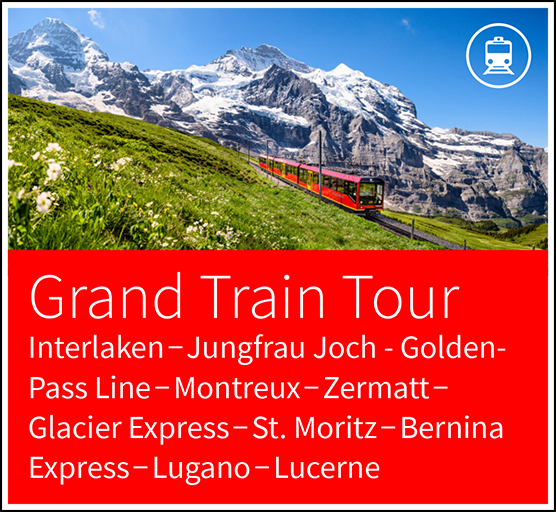 Montreux is located on Lake Geneva and can be visited from Zermatt by rail as a full day excursion. This excursion is exceptionally unique in that travellers cross a border between the German and French speaking parts of Switzerland. The journey entails a route through Switzerland’s largest wine region as it runs down the Matter Valley and along the Rhone River to Lake Geneva. Switzerland is filled with an abundance of outdoor adventures. Whether you’re a regular nature explorer or prefer leisure around the Gold Club, you’ll enjoy a visit to Zermatt. This Zermatt, Switzerland vacation guide tells you little bit more about the city's summer activities, and what to expect in the following sections. Zermatt has plenty of hiking opportunities with well over 400 km of well-marked footpaths. All mountain railways are hiker friendly and invite hikers to enjoy stretches through beautiful pine forests while passing numerous Alpine lakes and glaciers. Extended hiking excursions are made possible with many restaurants and mountain cabins along the way. Zermatt’s alpine tourism has contributed to much of the city’s development over the recent years. Its ideal location allows climbers to embark on their ventures to climb the surrounding peaks including the Matterhorn. The Zermatt Alpine Center organizes daily training sessions, day tours and glacier walks. The longer tours are offered by one of 80 state registered mountain guides. Of course in a Zermatt, Switzerland vacation guide, you were expecting us to delve into details about winter skiing but in Zermatt, we ski year round. The high altitudes and cold climate of Zermatt’s Glacier Paradise sustain glacial snow, making skiing in the summer possible. Despite having less slope options, summer skiing can be less crowded while still enjoying spectacular mountain scenery. There are 6 ski lifts open in the summer months and a total of 21 km in slopes. The Matterhorn Golf Club is located in the valley, between the villages of Randa and Täsch at an elevation of 1400 m above sea level. The course layout covers land on both sides of the Vispa River, and includes a lake. This is an 18-hole golf course and stretches over 21 hectares of land and bodies of water. Zermatt’s ski slopes stretch over 394 km, offering various levels of difficulty and leisure. The extensive network of 74 transportation facilities allows skiers to easily access both Swiss and Italian slopes. 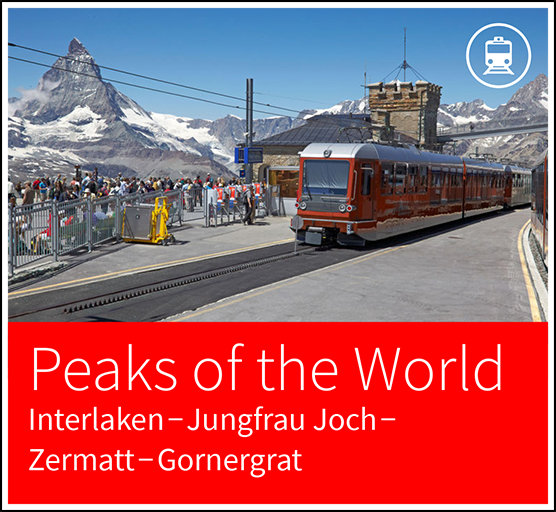 The high capacity cableways, mountain railways, and ski lifts reduce the time spent in queues as they convey up to 75,180 passengers per hour. In total, there are about 175 - 200 ski instructors in Zermatt’s ski area. All levels of skiing and snowboarding are taught including advanced. Zermatt’s snow conditions offer ideal snowboarding with plenty of powder and terrain parks. In addition to the manmade parks, there are often naturally occurring half pipes to discover. Curling is available at 10 different rinks and is one of our Zermatt, Switzerland vacation guide’s favorite sports with training, matches, and tournaments held on a day-to-day basis. Whether you prefer ice-skating indoors or outdoors either is possible in Zermatt. There are plenty of opportunities to skate on beautiful natural ice as well as artificially made rinks. Cross-country skiing in Zermatt offers beautiful views with a total of 7 km dedicated to cross-country. Zermatt’s activities go way beyond playing in the snow. Zermatt offers the opportunity to learn paragliding as well as tandem jumps with professionals. For a lifetime experience, try some of our Zermatt, Switzerland vacation guide’s favorite activities and other popular winter activities--including ice climbing, indoor climbing, sleigh rides, snowmobiling, tobogganing, ice diving, and sauna. 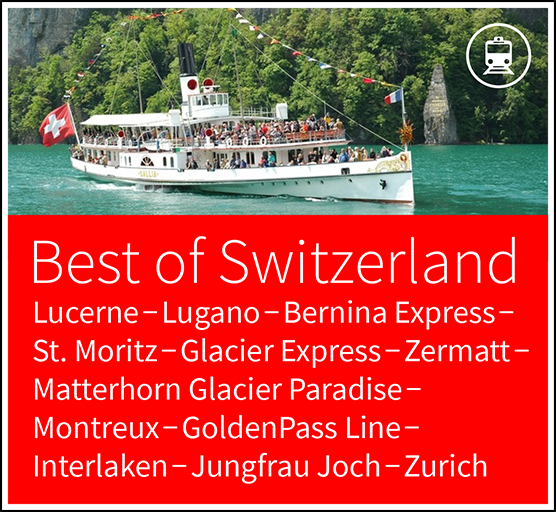 Magic Switzerland goes beyond a Zermatt, Switzerland vacation guide, but also provides reservation services to make trip planning easier. 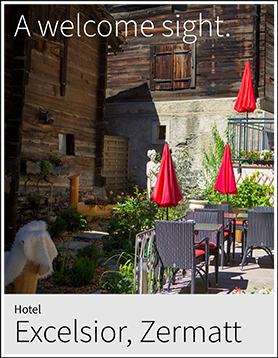 Our Zermatt hotel accommodations will recommend restaurants and events that offer traditional Swiss cuisine. Immerse yourself in Zermatt’s cultural events by attending live folklore concerts. While looking for restaurants, be sure to try a cheese or meat fondue. Zermatt also offers an exciting nightlife scene with plenty of bars and memorable cocktails. The stores in Zermatt specialize in quality and style and feature many Swiss renowned products. Swiss made watches and knives are featured in most all of the souvenir boutiques. In addition to brand names, there is also plenty of folk art to be explored. The museum of Matterhorn educates visitors about the thrilling and turbulent history of Mount Matterhorn. The museum is located just below Zermatt’s village square and is difficult to miss as its entrance is made entirely of glass in the form of a mountain. The museum’s interior consists of subterranean rooms and authentic mountain huts in which untold stories of the Matterhorn come alive. Refer to our Zermatt, Switzerland vacation guide to lead you on your adventure throughout Zermatt! Zermatt is located in the southern part of Switzerland with the closest city being Geneva, about 233 km/145 mi away. Zermatt’s nearest airport is in Zurich, about 225 km/140 mi north. 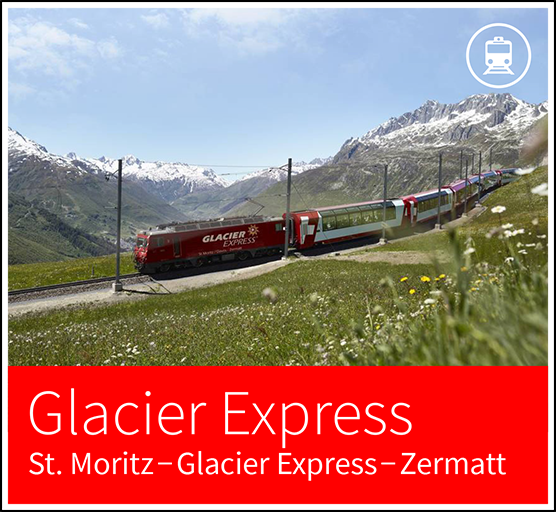 The most memorable and recommended route when visiting Zermatt is with the Glacier Express. 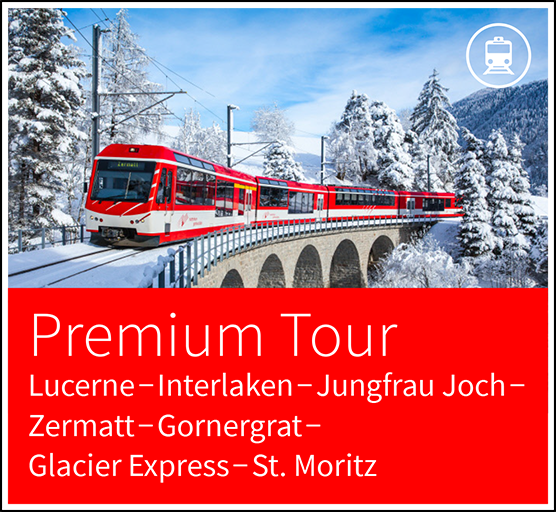 This journey brings travelers across the Alps and in its entirety, lasts eight hours between St. Moritz and Zermatt. 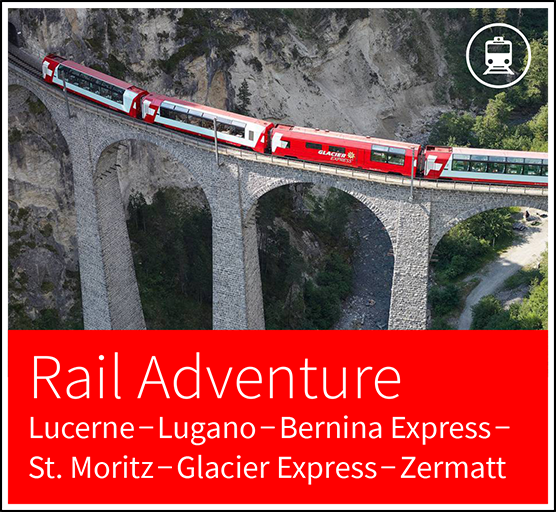 Explore southern Switzerland navigated by our Zermatt, Switzerland vacation guide. We’re here to guide you on things to do and places to stay, so that you can spend less time planning and more time creating new memories in Zermatt! Contact our Zermatt, Switzerland Vacation Guides today by visiting our Switzerland Trip Planner!